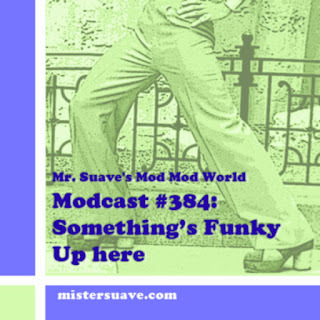 Mr. Suave's Mod Mod World: From the Vaults: Modcast #50 Wanna Know A Secret? From the Vaults: Modcast #50 Wanna Know A Secret? Once more into the vault my friends, once more into the vault. Step back in time, to a time when the modcast was young and fresh. Take a giant step outside your current listening constraints and journey with me all the way back to the fun filled days of 2007. I've opened up the vaults and dusted off a classic modcast that I think you'll enjoy. Again. Welcome to Mr. Suave's Mod Mod World, I've got lots of really interesting music this week inclduing some ska from Canada's Kingpins, some new stuff from Mando Diao and the Kaiser Chiefs, and some very excellent power pop from Permanent Green Light. Not to mention a bit of soul music, not the least of which is from Ms. Amy Wnehouse. If you want to get a look at Amy Winehouse and see her do Rehab live skip down below to where I've got the video posted. It's amazing how much she has perfectly captured the sixties soul sound. If you've got a question for me drop me a line at rob@mistersuave.com.